A range of 100mm and 150mm weather baffles. Cowled wall outlet with damper protected gravity grille. 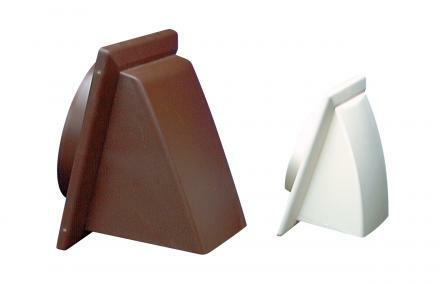 Available in white and brown they are ideal for exposed coastal applications, helping to prevent unwanted backdraughts.